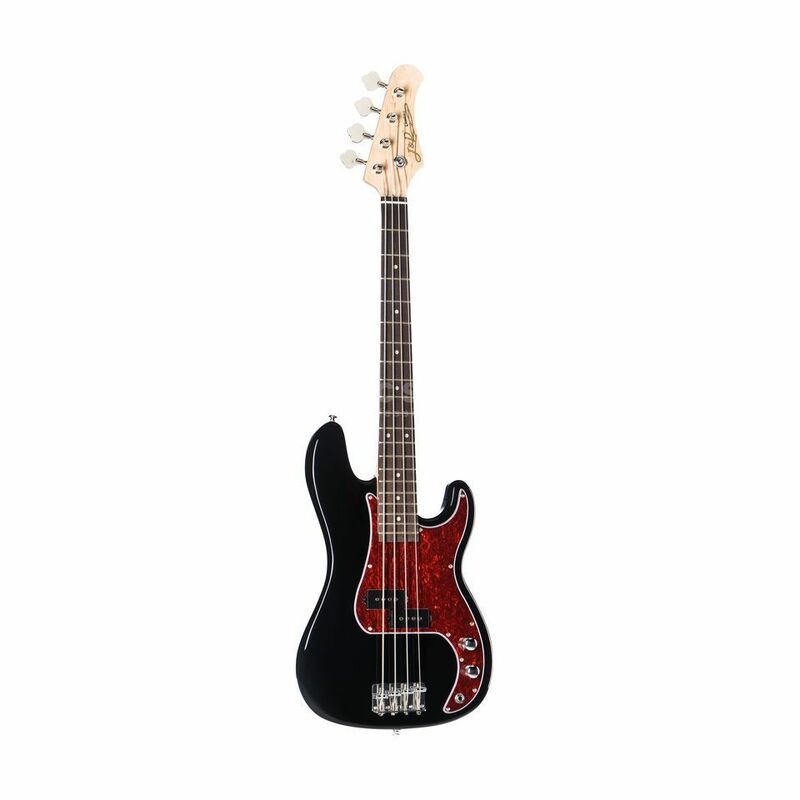 The J&D PB Mini, Black is ideally suited to children who want to start playing the bass guitar from a very young age but require a smaller, lighter model that they can play with ease. Although aimed at children, the PB Mini has been constructed using professional grade components including a solid alder body, maple neck and a 20 fret rosewood fingerboard layered over a 29” scale making it perfect for smaller hands. The J&D PB Mini also features a split-coil pickup (controlled via a single Tone and Volume pot) which is more than capable of producing an impressive collection of vintage bass sounds. The PB Mini is finished in black with a white scratch plate. Good little bass...needs tuning...(i replaced the bridge on Gotoh 201b and 3-string retainer...pickup - worker...Ideally can replace potentiometers and pickups, but Im satisfied so far) wood is good...completed D*Addario strings...sounds like a classic precision bass...good fingerstyle and slapping. Very good mini for children, or even for traveling + practicing. Nice shape, good quality, reasonable voice.